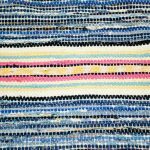 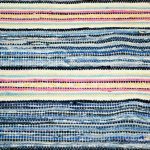 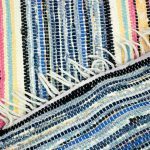 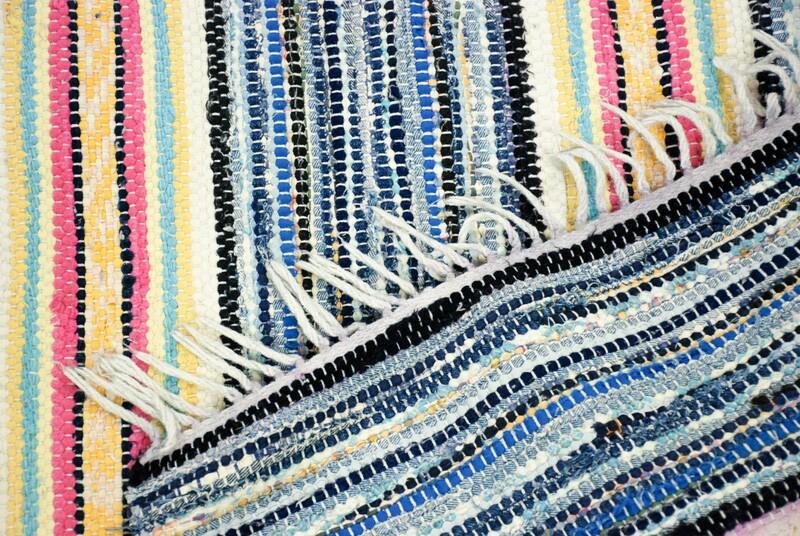 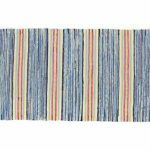 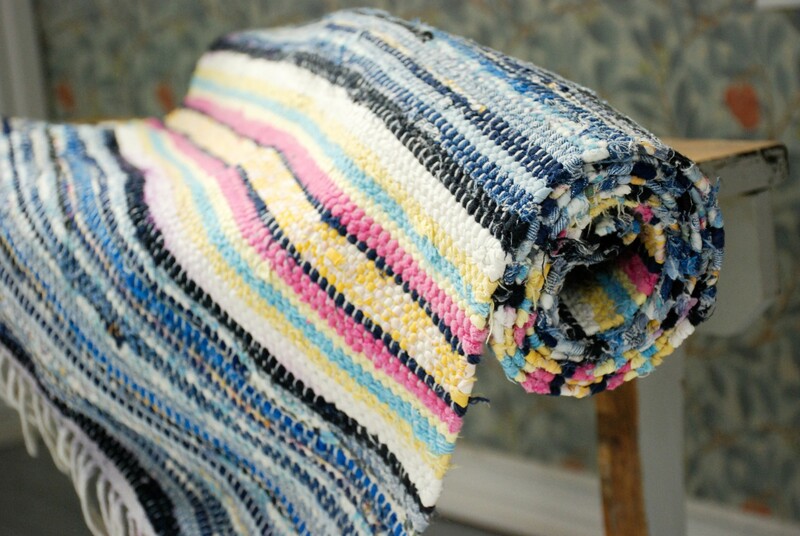 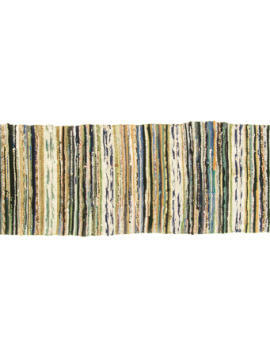 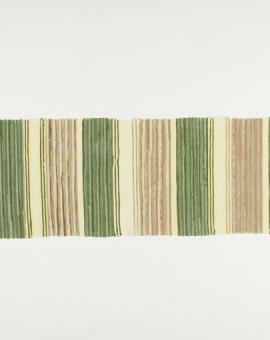 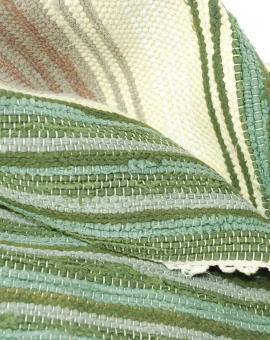 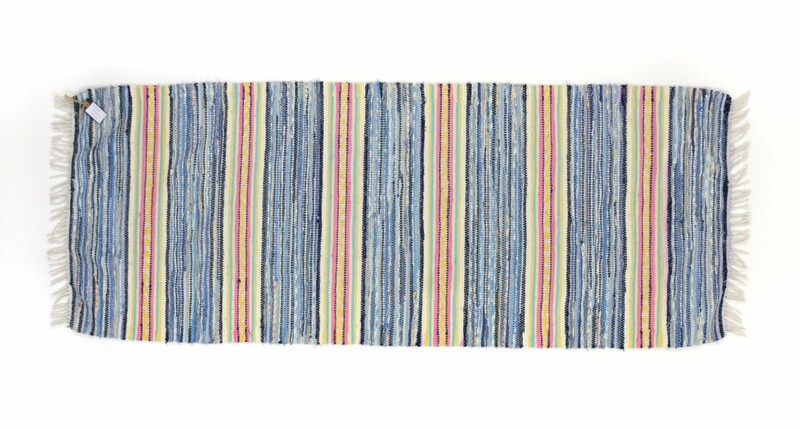 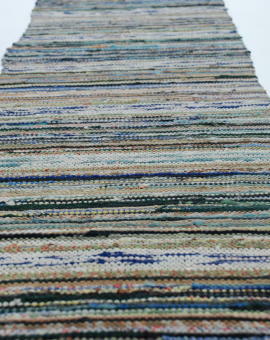 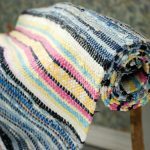 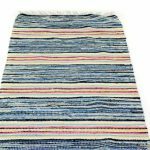 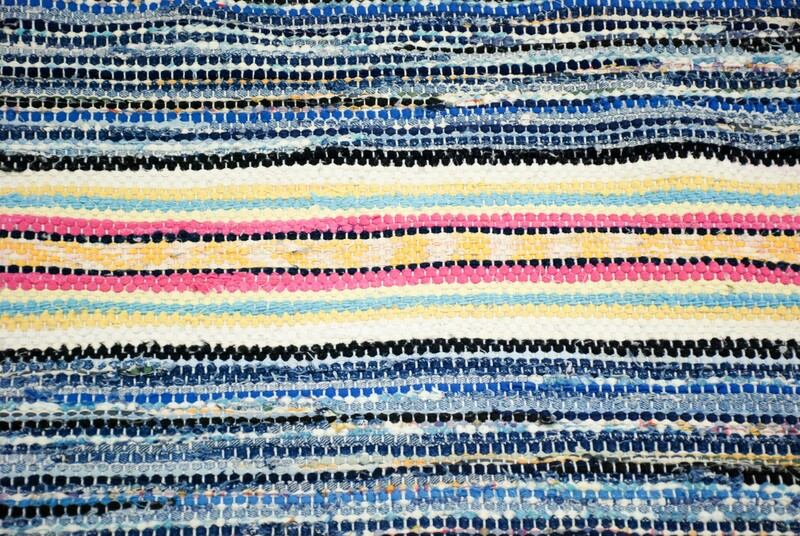 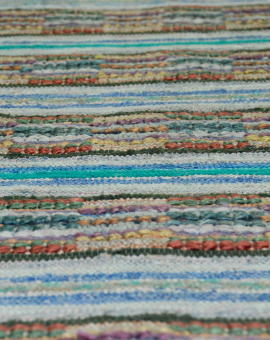 Bright stripes in this beautiful rag rug. 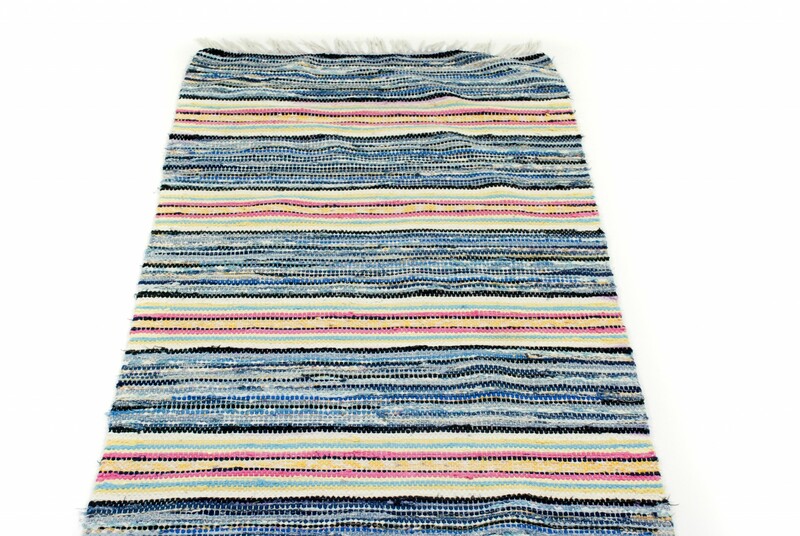 Never used, good condition but a bit wavy at the top. 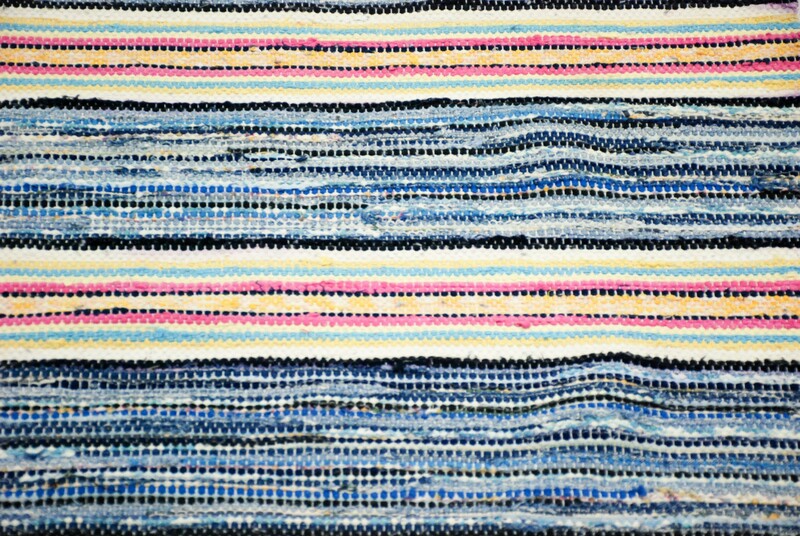 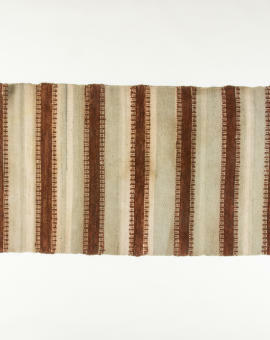 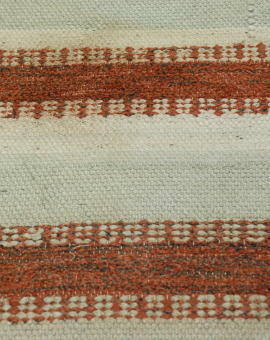 Rug Size: 200x75 cm (L x W).